What if taking time is real luxury ? Ready for an amazing stay in Aubrac ? Looking for an English Spoken campsite just near a fishing lake? Come to Camping La Romiguière in the south of France in Aveyron. In the heart of the Regional Natural Park of Aubrac, Camping La Romiguière is the ultimate destination for lovers of tranquility, space, nature, hiking and all sorts of recreation on the water (sailing, fishing, swimming...). We will be glad and proud to make discover this amazing wild place in the South of France ! You are looking for a safe place where children can come and go safely. 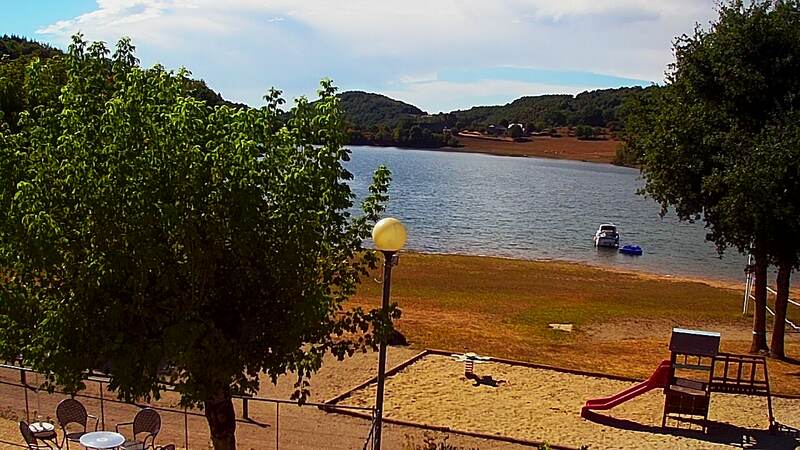 Camping La Romiguière : in Aveyron between Laguiole and Estaing, between Aubrac and river Lot, ideal place for relaxing holidays for children,parents and oldest in a family atmosphere!